Check out this interactive story map about the exciting research done by Taylor Ganz, 2016 Western Research Fellow and graduating MESc student from the Yale School of Forestry & Environmental Studies. 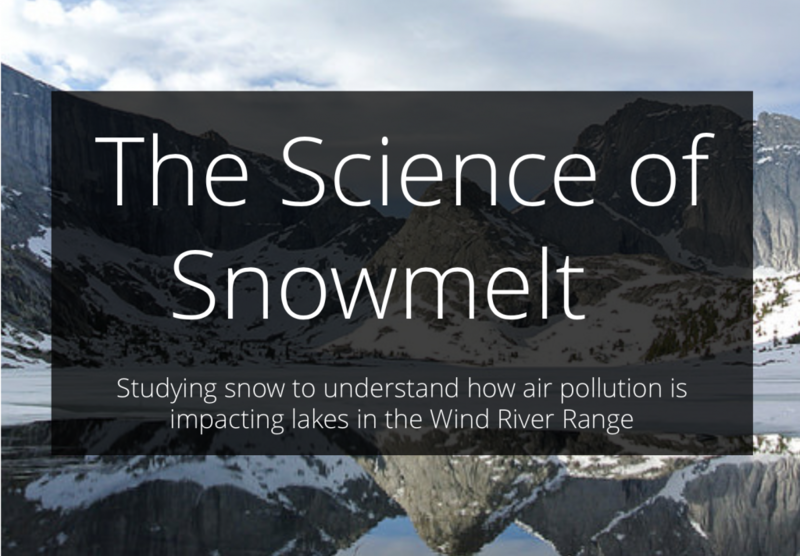 She traveled to the high peaks of the Wind River Range, WY to study how air pollution is stored in snowmelt and delivered to alpine lakes. This story map features beautiful photography, light text, and describes her research journey.